How much does it cost to take an amateur license exam? All exam sessions conducted by Laurel VEC sponsored VE Teams are free. Do I need to bring my own pencils, papers, etc? No. Everything you will need, such as pencils and scratch paper, will be provided. Yes. Some VE teams may provide a calculator. However, if you bring your own calculator and it has a programmable memory, the memory must be cleared. The VEs will inspect your calculator before letting you use it. Can I use my cell phone as a calculator? No! In fact, all cell phones must be turned off. If it makes any kind of noise you may be dismissed from further participation in the exam session. Why do I have to provide my social security number to get my ham license? See this See this PDF for an explination. What do I need to bring to the Exam session? A photo ID. Children without photo IDs may be tested providing that they can prove their identity to the satisfaction of the LARC VEC Team Leader. A Technician license (Original and/or a photocopy) granted prior to March 21, 1987 Element Credit: Element 3. An expired and subsequently cancelled General class license. Element credit: Element 3. An expired and subsequently cancelled Advanced class license. Element credit: Element 3. An expired and subsequently cancelled Amateur Extra class license. Element credit: Elements 3 and 4. A letter from the FCC confirming that you previously held a specific class of license for which you will be given credit for the Element 3 exams. A positive attitude and some patience. The folks administering the exams are dedicated volunteers. They will do their best to get you tested, your exam graded, inform you of the results, and if applicable, prepare and present to you a certificate stating you have earned a license or an upgrade as quickly as possible. How soon after I pass can I start operating? If you included an email address on your 605 form and the ULS has processed your information, the FCC will send you an email (From "[email protected]") that has a subject line similar to this: "FCC Application Grant OR Official FCC License"
This email will also include a link and instructions that guide you to your new license. You may print an official license copy by following the link provided in that email. 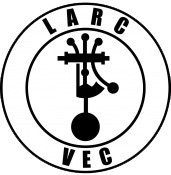 The good news is that with the Laurel VEC the results of your exam session are usually uploaded to the FCC on the first business day following your exam session and you may start operating using your new callsign as soon as it appears in the FCC Database. Do I have to pass a Morse code test to get my ham license? No. While Morse code is still a popular mode of communication among hams, it is no longer required to earn a new or upgraded amateur radio license. What will the test session be like? Registration - You will be asked to complete one or two forms; show your photo ID; inspect the original version of your current, unexpired license and other applicable documentation; and provide copies of your current, unexpired license and other applicable documentation. Pre-exam instructions - You will probably be given some pre-exam instructions regarding the use of calculators, procedures for asking questions, rules for taking the exam, bathroom breaks during the exam, etc. The exam - The Technician and General exams each contain 35 multiple choice questions. You must correctly answer 26 questions to pass (74.2%). The Amateur Extra exam contains 50 multiple choice questions of which you must correctly answer 37 (74%) to pass. Grading - Once you've completed your exam, it will be graded and you will be informed of the result. If you passed you will receive a Certificate of Successful Completion of Exam (CSCE) indicating which element(s) you've passed and, if appropriate, which license class you've earned. If you didn't pass the exam, the VEs may, at their discretion, allow you to take a second exam. Note: The VE team will strive to score your test, inform you of the results, and process your paperwork as quickly as possible. The size of the test session and the number of VEs on-hand will be factors in how quickly this gets done. Please be patient. If I fail my exam, can I take another exam during the same session? The decision to let you take a second exam during the same test session after failing a previous attempt is up to the VE Team. The VE team is not required to let you take another exam. The team will make their decision based on several factors which include, but are not limited to, the number of applicants being processed, the number of VEs available, and how badly you failed the previous exam. For example, if you missed passing by one or two questions, many teams will let you take another exam (a different version, of course). On the other hand if you missed passing by six or seven questions the VE team will most likely suggest you go home and continue studying. I heard or read something about being "Grandfathered." What's the story? Recent changes to the FCC rules allow certain current and former licensees to earn credit for certain exam elements. If you are a current or former Technician class licensee and were granted your Technician license prior to March 21,1987, you have lifetime credit for the Element 3 written exam. If you were previously licensed as a General class licensee and your license expired and was subsequently cancelled, you have lifetime credit for the Element 3 written exam. If you were previously licensed as an Advanced class licensee and your license expired and was subsequently cancelled, you have lifetime credit for the Element 3 written exam. If you were previously licensed as an Amateur Extra class licensee and your license expired and was subsequently cancelled, you have lifetime credit for the Element 3 and Element 4 written exams. OK, I'm eligible for a "grandfathered" element. What do I have to do? It depends on your current status. A letter from the FCC stating that you held such a license. A cover and applicable page from a call sign book that indicates the class of license and date of publication. If you are currently unlicensed you must pass the Element 2 exam before you receive your element credit. If you are currently licensed you simply show up to an exam session, go through the registration process, present your proof of element credit and you will be issued a CSCE giving you credit for having earned a new class of license depending on your element credit(s). I can't find my original license in order to claim the "Grandfathered" credit for Elements 1 and 3. How do I get the letter from the FCC? How do I become a Volunteer Examiner? Contact any Laurel VEC VE Team leader.